Records go back nearly 2,000 years to when the first people began to live in what was known as Dublin Bay. 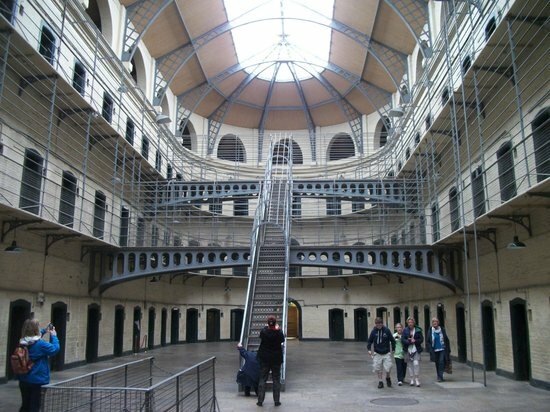 As a result, the history of the city of Dublin is extremely interesting, as can be seen by the wide variety of museums in the city. Perhaps the best of these is the National Museum of Ireland, which is actually separated into three buildings. One of the most interesting is the Archeology section in Kildare Street, where you will discover gold relics and even bodies of people who have been preserved for many hundreds of years in peat bogs – which are a type of earthy marsh found in Ireland. Crimes committed many years ago are often very different to crimes committed today, and usually the punishments were much more severe. Also, Ireland has been involved in a lot of political upheaval in the past and people were often jailed just because of the political party they supported. Kilmaninham Jail (or Gaol) Museum, has many very interesting stories about prisoners from the past, going back as far as 1796 when the prison was first built. Even if your English is not perfect, you don’t need a translator to get a feeling for what a terrible place it was to be locked up in. Even if you are thinking of coming to Dublin to improve your English for work, you won’t be studying every hour of the day and you will want to have some time to relax. A great place to go that will also help you with your English is the Phoenix Park (Phoenix is pronounced ‘feenicks’) and Dublin Zoo. The park is set in 1,700 acres of beautiful open space, while the zoo is home to over 400 different animals and is one of the oldest zoos in the world. Have you tried window shopping? Window shopping is an English expression which means to look at items that are for sale in shops and stores, but without actually buying anything. It is a wonderful (and inexpensive) way to get a feel for local culture and to discover a range of locally made products. The city centre of Dublin, especially around Grafton Street, is not only full of major department stores, but also a good number of local shops that sell products you will only ever see for sale in Ireland. You don’t need to go to the large art galleries like the National Museum of Modern Art or the National Gallery to see fantastic art in Dublin. Temple Bar is a small neighbourhood in Dublin that is packed full of independent art galleries and performance art venues. 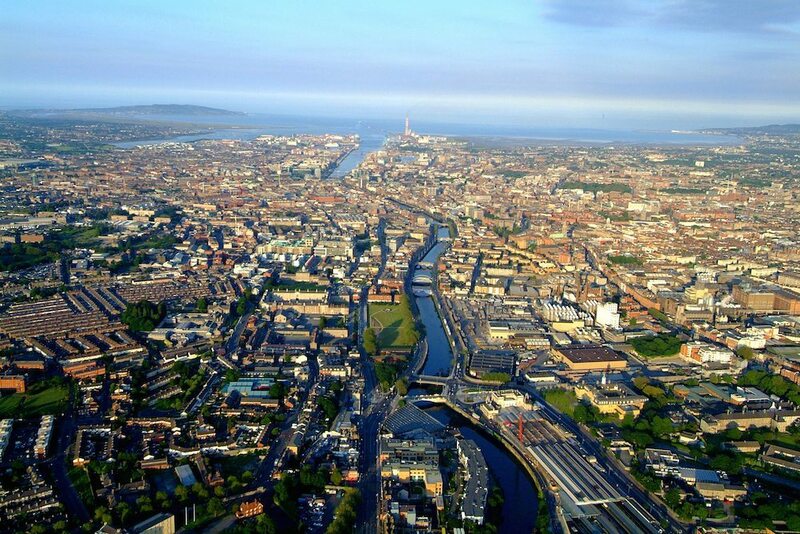 In the evening the area is also well known for being one of the best place for parties in Dublin! Many museums have artefacts (very old items from the past) that are difficult to imagine actually being used. In Dublin, there is a museum with a difference, the Little Museum of Dublin. The items in this museum cover the last century, and display donations (gifted items) from many people still living, including items given to the museum from band members of U2. There is also a lectern (a stand people put their documents on when speaking publicly so they can read them more easily) which was used by the late US President, John F Kennedy when he spoke to both sides of the Irish Parliament. Trinity college is the oldest university in Ireland and dates back to 1592, having been opened by Queen Elizabeth I. The university is full of priceless artefacts as well as an incredible 200,000-book library! Names of people who went to Trinity College that you may recognise include Bram Stoker – the author of Dracula, Jonathan Swift – the author of Gulliver’s Travels, and Oscar Wilde. Merrion Square is one of the finest parks in Dublin. The buildings around the square date back to the Georgian era and have a distinctive and very beautiful appearance. It is definitely worth a visit. Like all Georgian buildings (including ours in Alpha College) if you look carefully, many of the windows on the top floors of these buildings are actually much smaller than the rest. This is an optical illusion intended to make the buildings look taller than they actually are! It was also used as the servants quarters at the top of the building and kept the cost of large windows down for their rooms. Have you ever listened to traditional Irish music? There is something very special about traditional Irish music, which usually has a very lively rhythm. We have regular Irish Music sessions in Alpha but if you’re looking for something else, many pubs in the city have live music in the evenings. One of the most popular is the O’Donoghues Bar, which has live music from local bands every evening of the week. We aren’t suggesting you have to drink alcohol either, as the bar serves plenty of soft drinks too.